Architect of Hungarian and Slovak origins, Laszlo Hudec (1893-1958) has been one of the most outstanding protagonists of the process of diffusion of modern architecture in the city of Shanghai during the 1920s and 1930s. Colonial outpost of Western powers, Shanghai was at that time by far the leading financial centre of the Far East, one of the cities with the highest pace of growth on the planet, a haven for businessmen and missionaries, angels and gangsters, an extraordinary crossing point of international trades and cultures. Laszlo Hudec - a young officer of the Austro-Hungarian army, captured during the war and held in a prison camp in Khabarobsk, Eastern Siberia - found refuge in Shanghai in 1918 after a rocambolesque escape from his detention place. Within the two decades which followed the end of WW1, Laszlo Hudec managed to develop a brilliant and intense professional career as architect, designing houses, apartment buildings, factories, schools, offices, hospitals, and the first skyscraper ever built in Asia, the tallest building outside of the USA at that time (1934). In the 1930s, he was considered the “sensational driving force behind the new architecture of the city”. 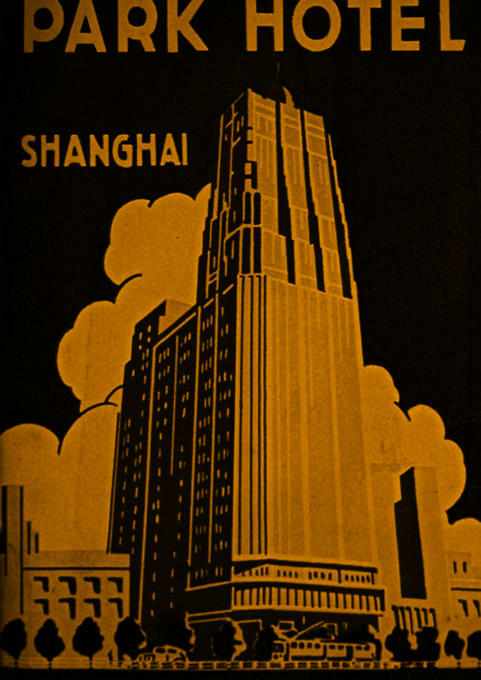 He gave proof of a unique ability to transfer to Shanghai the most advanced achievements of European and American architecture, in terms of technologies, materials, languages and imageries. Working for Chinese clients, Laszlo Hudec provided a peculiar form of architectural design that could successfully represent the aspirations for modernity and distinction of the Chinese social and cultural élite of that time. In that sense, Laszlo Hudec has been the most significative interpreter of the Chinese pursuit of modernity developed before the outburst of the Second World War.